Funky Town Grooves announced quite a lineup of soul classics to hit shelves this fall, as reported yesterday by The Second Disc, and we’re happy to follow up with news of the latest exciting releases coming from two Cherry Red labels across the pond, Big Break Records and Superbird. First up, Big Break (BBR) delves further into the Philadelphia International (PIR) catalogue, dormant here in the United States but also being mined concurrently by the U.K.’s Edsel label. September 20 sees the release of Harold Melvin and The Blue Notes’ 1973 LP Black & Blue, the group’s second for the label, with the chart-topping single “The Love I Lost” anchoring a typically-strong set of Gamble and Huff productions including an unusual, jazzy take on John Kander and Fred Ebb’s Broadway classic “Cabaret.” Black & Blue will be bolstered by the inclusion of two rare single edits. October 11 will then bring the group’s PIR debut, I Miss You, which contains among its songs the indelible “If You Don’t Know Me By Now” and the Thom Bell-arranged title track. Three single edits and a live version of “If You Don’t Know Me By Now” round out its four bonus tracks. This album is better-known by its eponymous title of Harold Melvin and the Blue Notes, but Big Break’s edition restores the original title and artwork. Both titles’ liner notes draw from a new interview with ace Philly arranger Bobby Eli. Williams and King aren’t the only disco survivors to reappear on Big Break this fall. 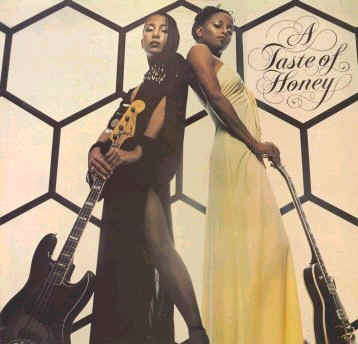 A Taste of Honey, the hitmakers behind “Boogie Oogie Oogie,” will have their first two LPs expanded on October 25: 1978’s self-titled debut LP (CDBBR0016) now contains three different mixes of “Boogie.” 1979’s second album, accurately named Another Taste (CDBBR0019), didn’t produce another big hit but carries the same exciting sound as the first set, with both produced by Fonce Mizell and Larry Mizell. Another Taste offers alternate versions of “I Love You” and “Do It Good” as bonus material. All Big Break titles can be pre-ordered directly from the label here, while Superbird’s Van McCoy reissue can be pre-ordered here. Like all Cherry Red titles, however, they can also be ordered from the usual suspects! Hit the jump for full track listings and discographical information for each title. “Faces” is one of my favorite EW&F albums! Should have been huge. The US Columbia CD sounds excellent, but I might have to check this one out. How has the mastering been on the PIR stuff being released by Cherry Red? Cause Esdel UK has done an excellent job on the post-1976 releases they’ve done. I was hoping they would get the pre-1976 stuff too. While there have been conflicting opinions about the sound quality of BBR’s Gloria Gaynor reissues, I was quite pleased with the label’s job on the Three Degrees’ self-titled album. Though not a PIR release, BBR’s Odyssey reissue definitely sounds good to these ears, too. In addition, the packages (in super jewel cases for the first 1000 copies pressed) have detailed liner notes to compare favorably with Tony Rounce’s excellent notes for Edsel, and the design is top-notch. For what it’s worth, I’ve been really pleased with BBR’s work so far, and I’m looking forward to this upcoming batch…lots of great titles. Can’t wait for “Faces,” either! “Faces” deserves a second look. From 1979 to 1982, the record biz was in a depression. Thus “Faces” was a double album in a single album world.